It is a long drive to Chillagoe, nearly 3 hrs, but it is a remarkable area with outstanding caves and rock formations. 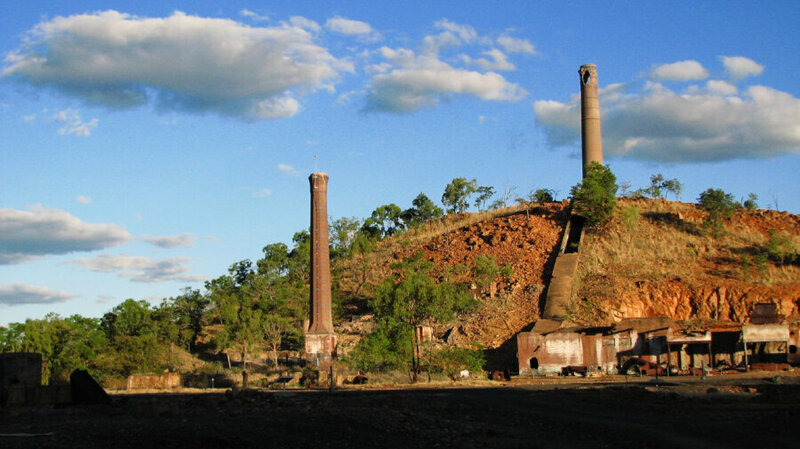 The town was the centre of a mining boom at the beginning of the 20th century and the town is still dominated by the tall smelter smokestacks. The small heritage museum is devoted to the early mining days. Chillagoe is on the Palmer River fault line and is still a highly prospective region with nearby gold mines. 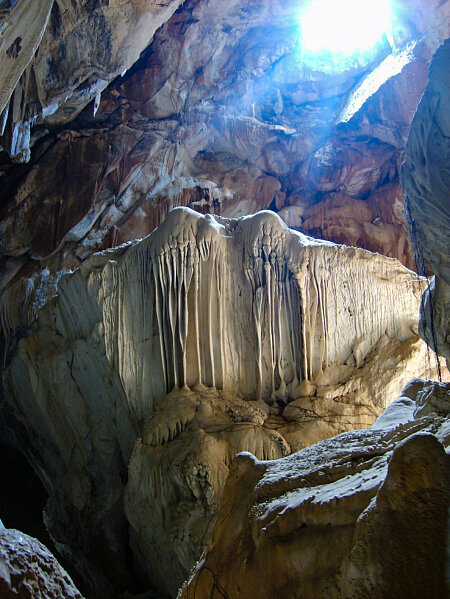 There are several excellent limestone caves with spectacular formations which are remnants of coral reef. 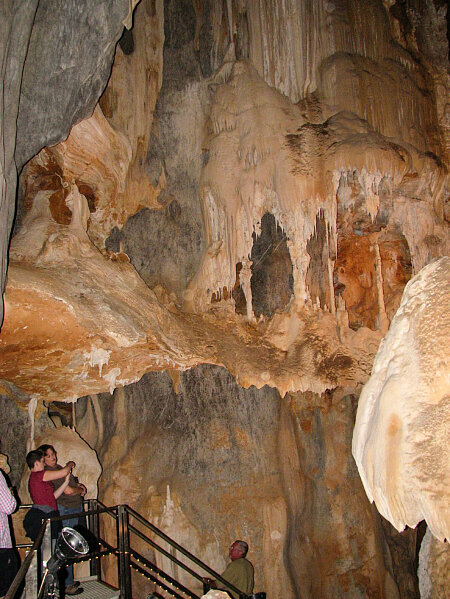 Park rangers conduct tours of 3 caves at 9am, 11am and 1.30pm daily. There are other caves to visit without a guide as well as remarkable rock formations like the Balancing Rock which is a short walk from the car park, just under 3km from Chillagoe. The open cut marble mines where the marble has been sliced into huge square blocks as though with a cheese slicer is another unusual feature. For guided cave tour bookings and information, go to the Chillagoe Hub on Queen Street.